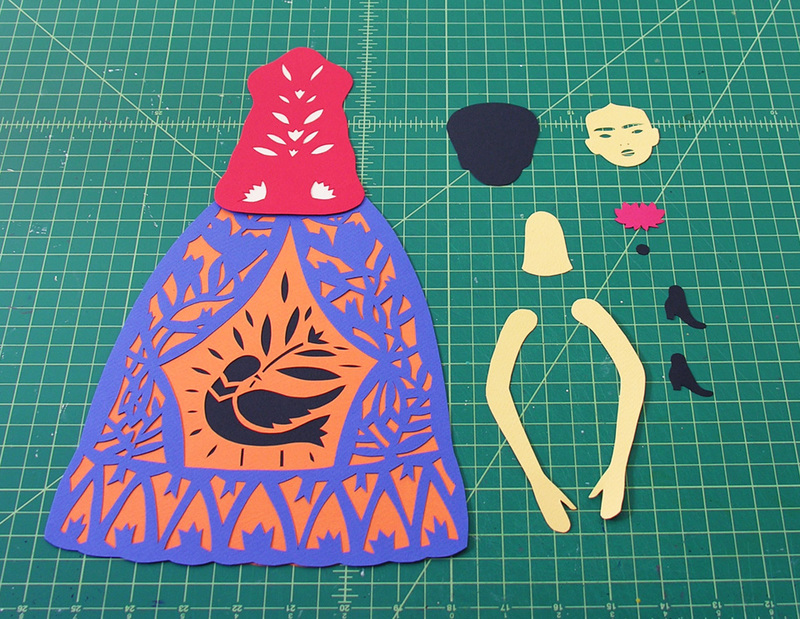 I created this Frida Kahlo doll pattern for my shop and I’m so excited! I hope that you enjoy it. She can be framed or displayed as a doll, just like in the picture below. 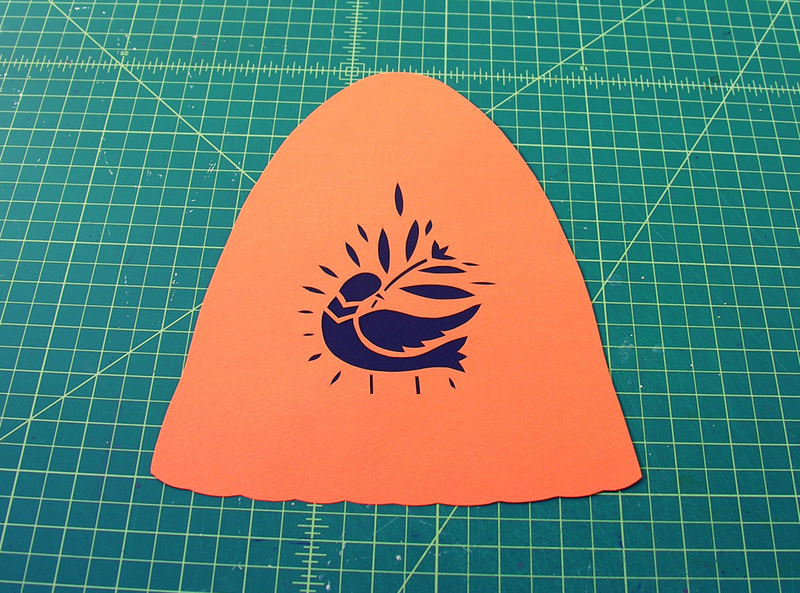 If you feel inclined to make your own for framing, then the metal brads are not necessary. In that case, it is better to connect all the elements together (head, arms, boots…) with glue. 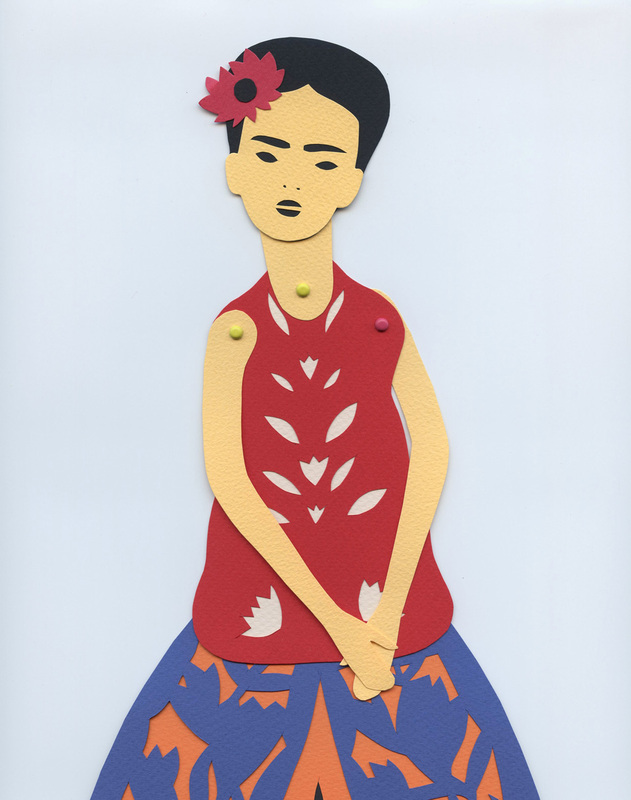 UPDATE: My store is no longer open but I made the Frida Kahlo doll pattern available for free: Download the Free Pattern. In the picture above you can see one of my little paintings from 1997. I was very influenced by Frida Kahlo in the nineties. That was the time when I first discovered her unique work. I was so fascinated by the story of her life. I still am. Frida went through a lot. But in the middle of all the difficulties, including physical pain, she stayed true to herself and never stopped creating. 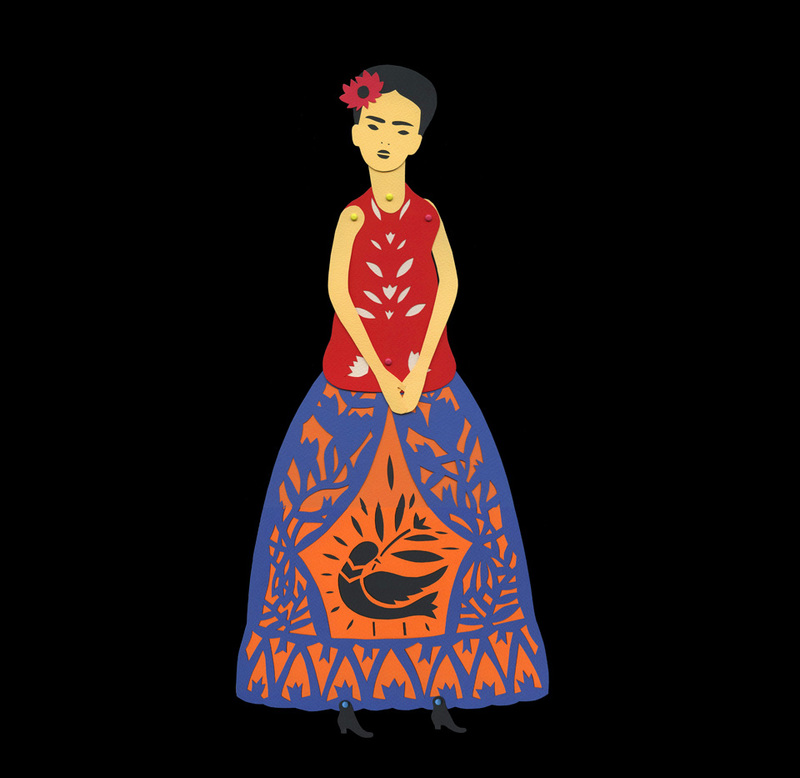 Frida was strong, independent, opinionated, and never followed trends. She only followed her heart. Here she is with my succulents. Frida loved nature and animals very much. She had different pets such as birds, dogs, and monkeys. In 1999 I was lucky to win a grant from the UNESCO, so there were two options for me to choose from: I could spend a few months in England or in Mexico. I immediately picked Mexico because I wanted to learn everything about Frida Kahlo. To my fortune, I spent that time in Coyoacán, where Frida’s house La Casa Azul is located. Being there was magical. That was the time when some big changes where going on in my life. I was considering getting divorced after 6 years of a marriage that wasn’t working. 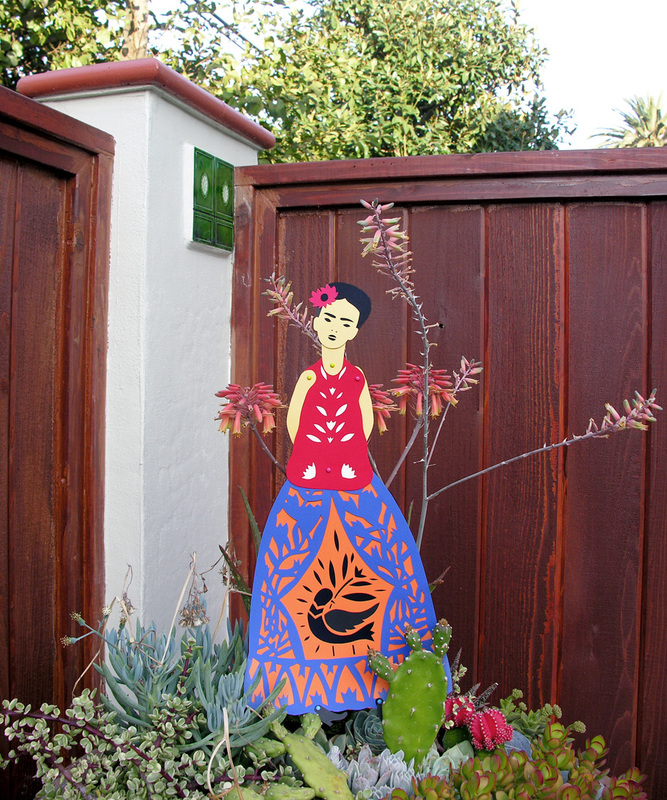 Believe it or not, Frida Kahlo’s spirit “helped” me gather the courage that I needed to do what I wanted to do. Up to this day, I thank her for being such an inspiration. 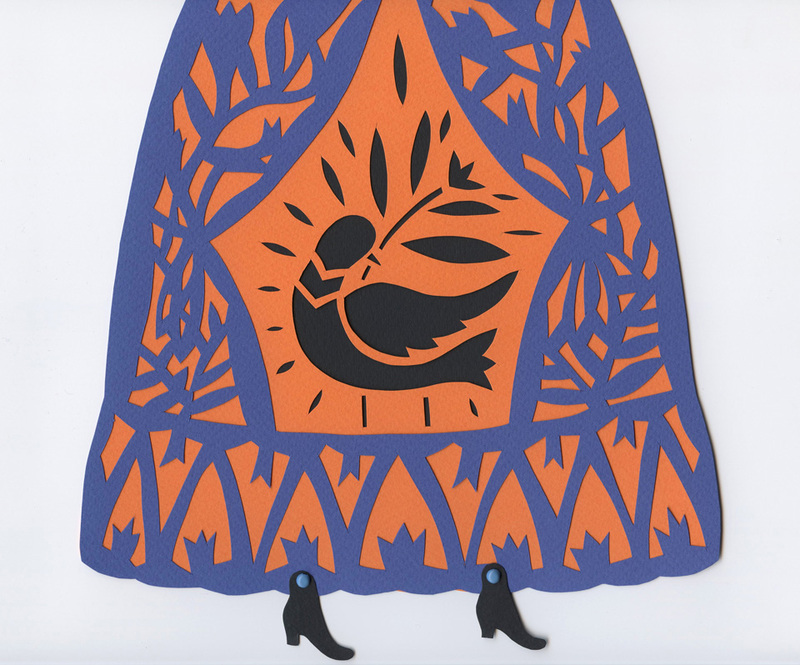 The bird in her skirt was inspired by something that Frida wrote in one of her diaries: “Feet, what do I need you for when I have wings to fly?” This was at the time when one of her legs had to be amputated. She was sad and in pain, but her imagination kept her going. Below is the tutorial that I included with the listing on my shop. But I put it here to show you how this doll is made. Something nice is that you can come out with endless color combinations. You can even create some little animals for her. I think that she will love that. Now I leave you with the tutorial and a video with footage of the real Frida Kahlo on the bottom of this post. Have a great day! 1. 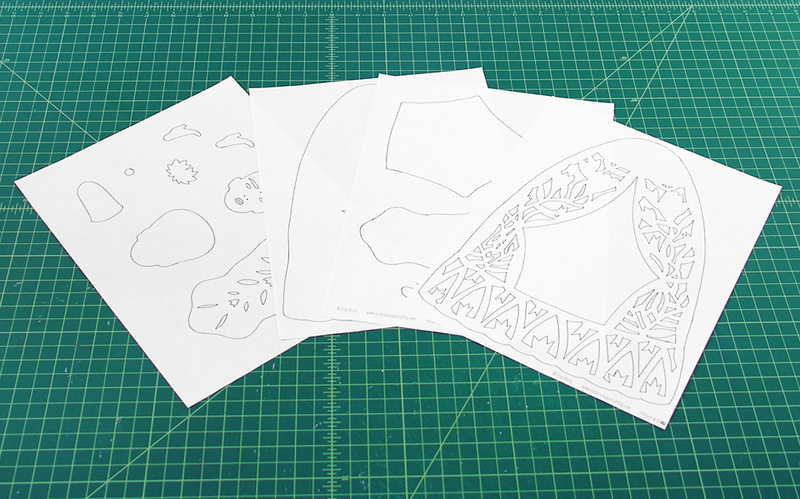 Print out the 4 patterns on regular office paper (8.5″ x 11″). 2. 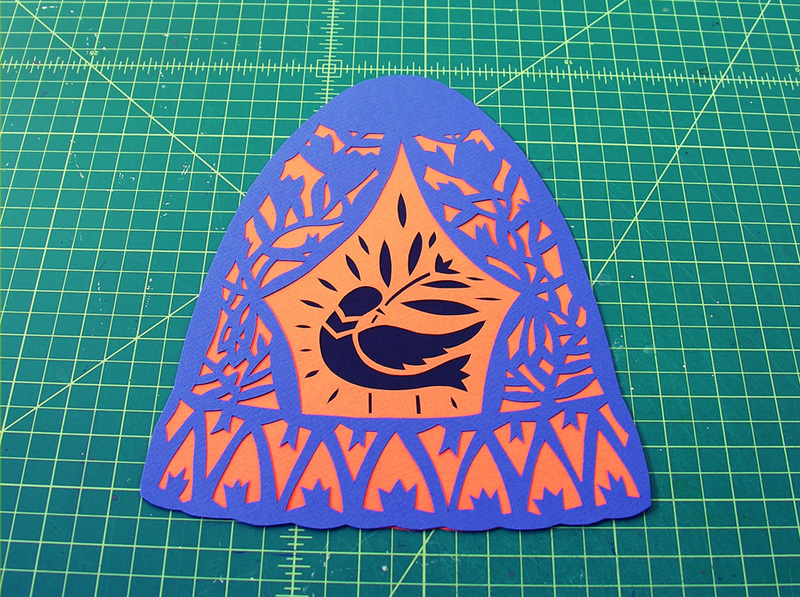 Cut out the excess of paper around the 13 elements. 3. Tape the elements on your paper of choice. Use your favorite colors. 4. 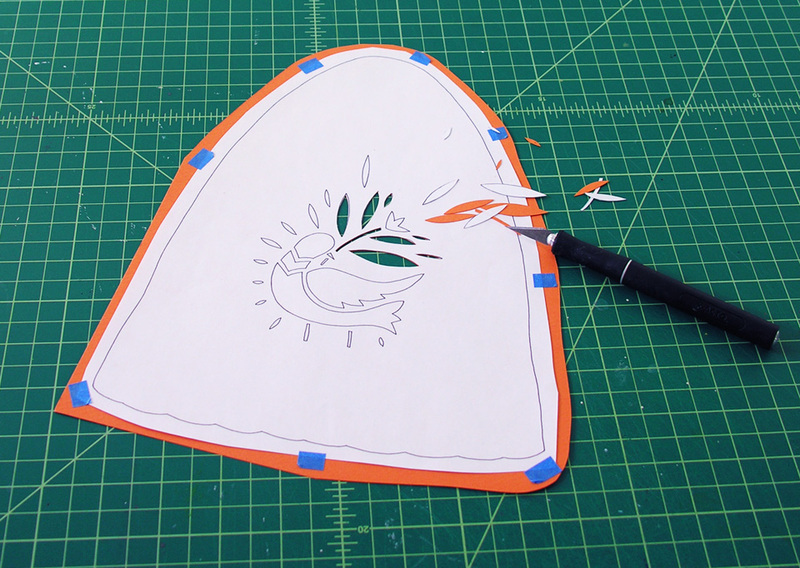 Start cutting from the center of this skirt piece. 5. 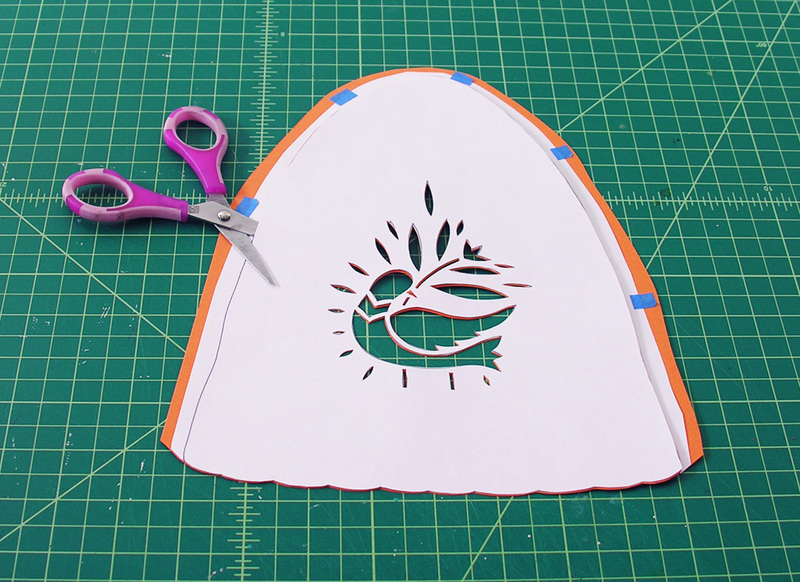 The larger, simpler areas, are easier to cut with scissors. 6. Now cut the piece that looks like a house. 7. 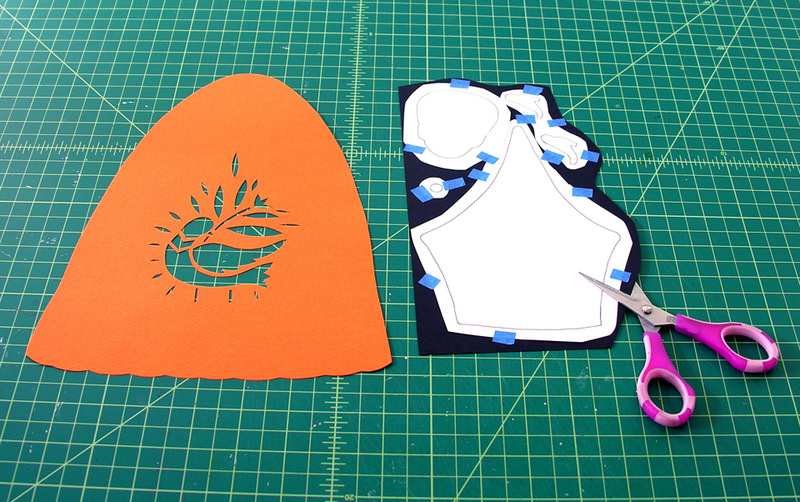 Glue the “house” piece behind the skirt. 8. Now those 2 pieces are glued together. 9. 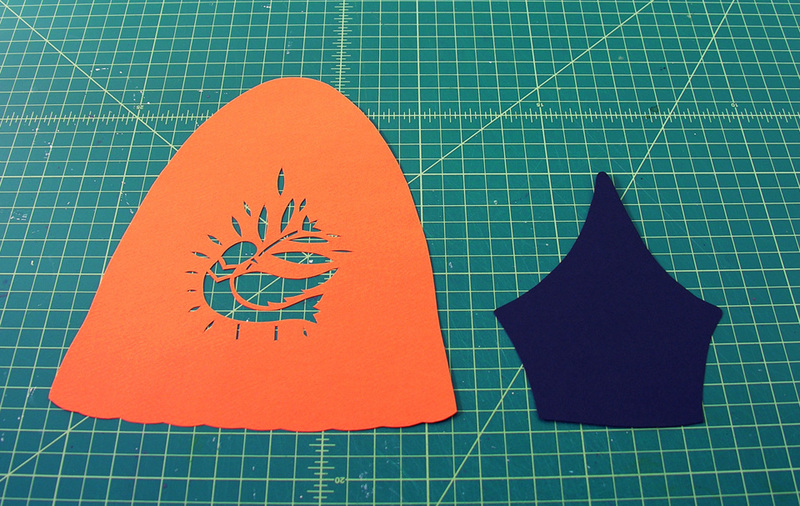 Next, cut the front of the skirt and glue it to the surface from 5 or 6 strategic places on the back. 10. 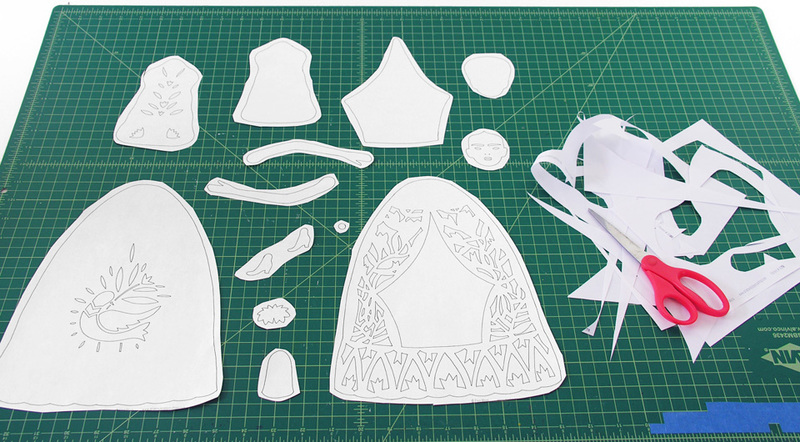 Cut the 2 pieces for the blouse and glue them together in the same manner. 11. 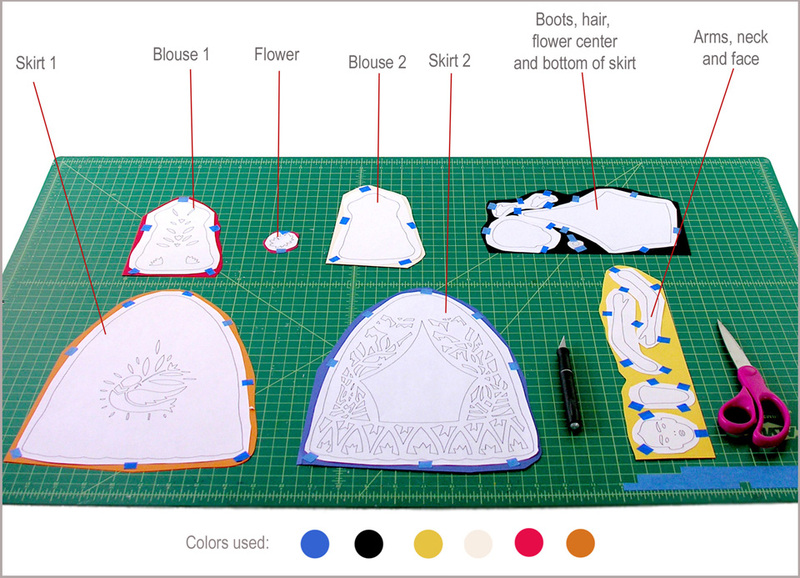 Glue the blouse to the skirt. 12. Cut the rest of the pieces. 14. 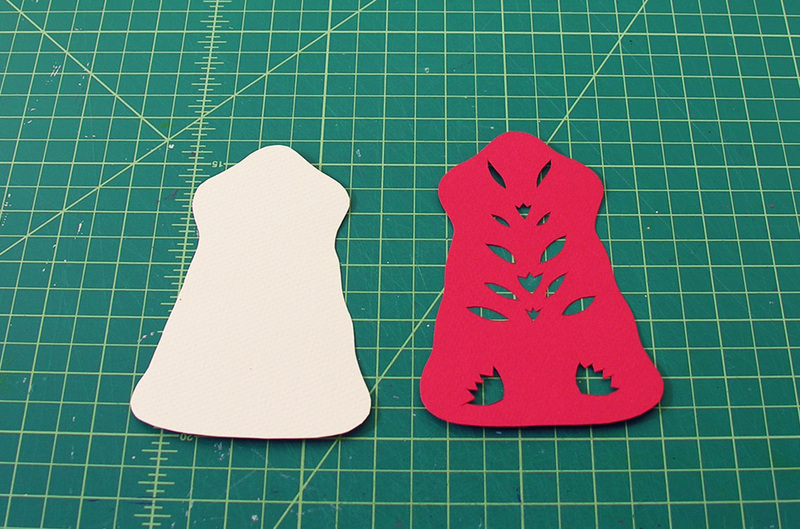 If you want to make the doll articulated, just apply some brads like I did below, instead of using glue. I really like this, gorgeous colors and using the brads is a great idea !! 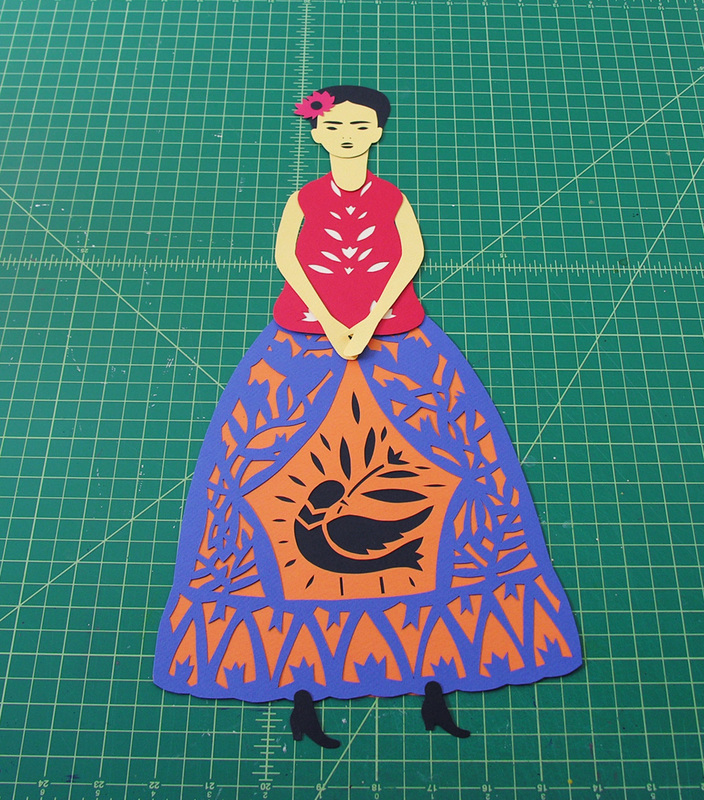 Elsa Mora recently posted…Introducing a DIY Frida Kahlo Paper Doll. You’re awesome! How beautiful and generous of you! Thank you! I shared it! 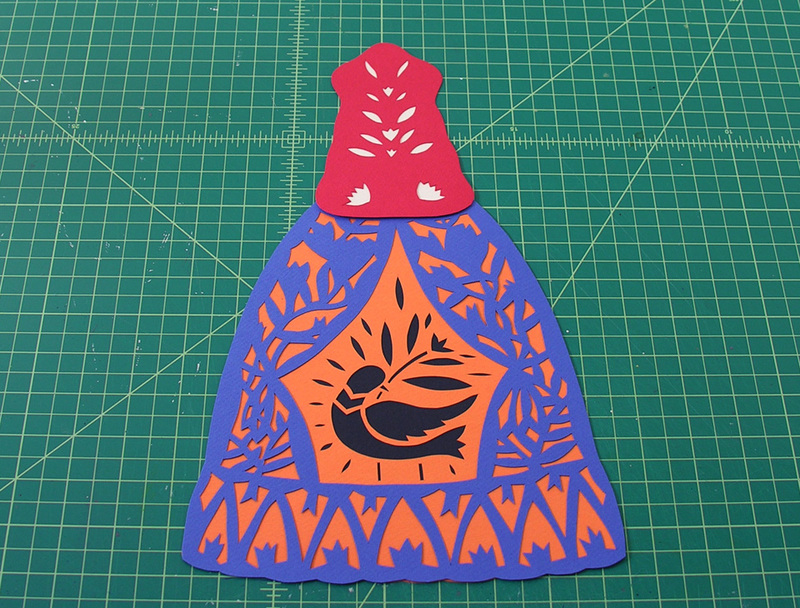 Your Frida’s are beautiful both painted and paper cut, wonderful tutorial! 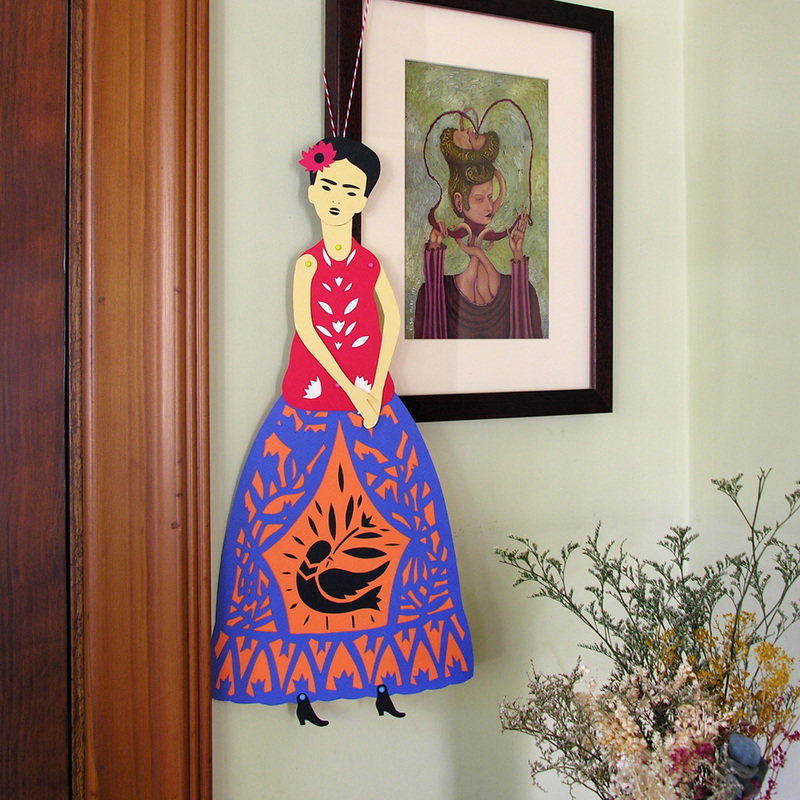 Hola soy mexicana y es un placer ver como Frida ha trascendido fronteras he inspirado a gente soy una gran fan…. tu diseño está genial !! These 66.pink2.net tend to be over wonderful! Neighborhood retailer possess moobs, get a lot of, obtain Step 2 sets!! I had An individual try, as well as work 1 / 3 yr cold weather which bring in these people, where they still appear exactly like the same day I purchased these products! Comfortable and also efficient! I just have planned acquiring another combine in a very various color selection very soon! !